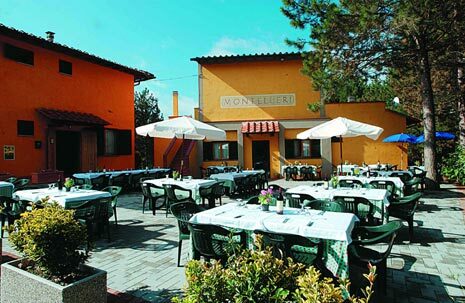 The Residenza di Campagna of Montelleri is lakeside in a huge natural park. 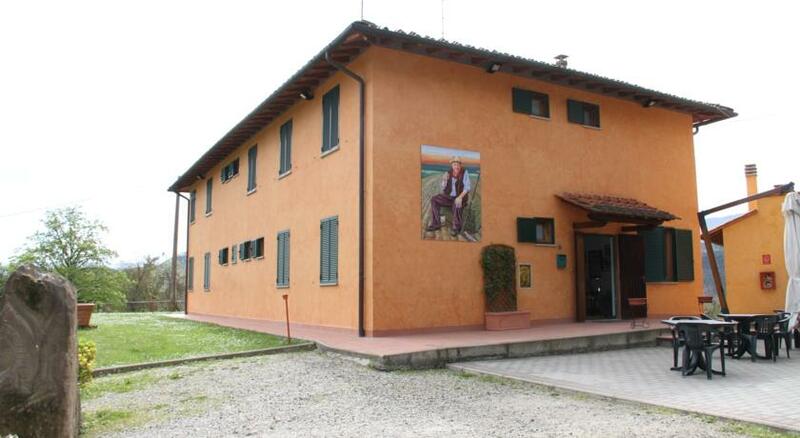 Montelleri became a gallery to the artists of Mugello and is ready to welcome you to relax. Staying in Montelleri, surronded by works of artistic sons of Giotto, means allowing yourself to be moved by the profound ties between art and nature that in Tuscany becomes an experience of a full rich life. We are glad to help you finding the best way to discover our land: biking, horse riding, going whitewater rafting and much more… Write to us! The Residence is located in a park of 4 hectares, has 17 double rooms with private services and tv LCD and a hardwood furnished restaurant which 100 guests. While it is in the countryside, it is beautifully positioned upon one of the hills of the Village. The restaurant offers true Mugello food, rich in natural herbs and spices. 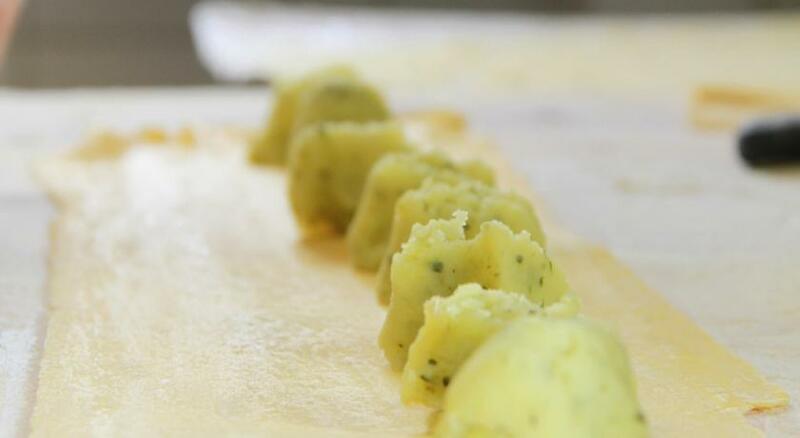 Fresh pastas are handmade everyday and combined with the basic products of salame, meats, cheeses and fresh vegetable to end up in tasty savory Tuscan dishes. From Vicchio, Florence is reachable by train or by car 40 minutes. Free entrance for our guests to a sport centre which is only 15 minute walk: two open swimming pools (from June till September) solarium. We offer our guests a series of sport opportunities (for all levels) to enjoy our wonderful land and, as Mugello is also famous for its food, we propose kitchen lessons. - T-Rafting: Incredible downhills: Rafting, kayak, SUP, you can watch our program on https://www.t-rafting.com and chose among the different itineraries. 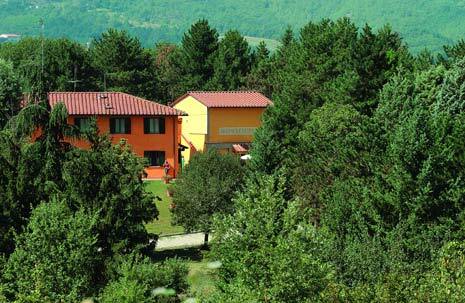 - Horseback riding: Horseback riding excursions throughout the Mugello's exciting landscapes. 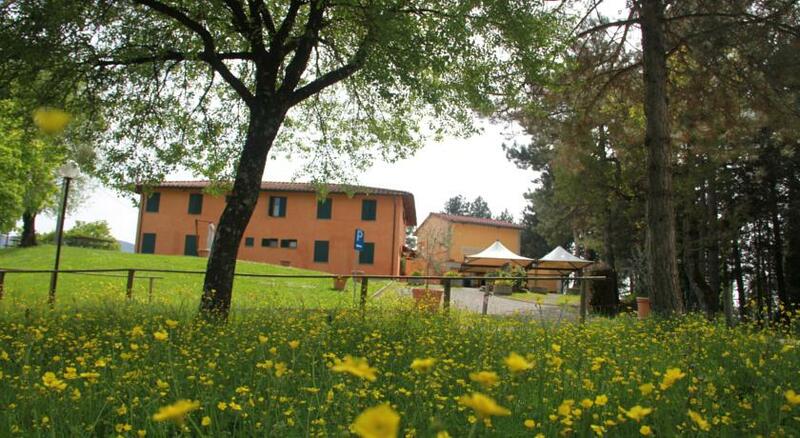 You can have horseback riding lessons at the "Azienda Agricola Il Forteto" just a few minutes from our hotel. -Adventure: Enjoy the "Gigante Adventure Park" (in Pratolino, Vaglia) with your Whole family (for children and grown up) Ask for the discount coupon at the hotel reception. 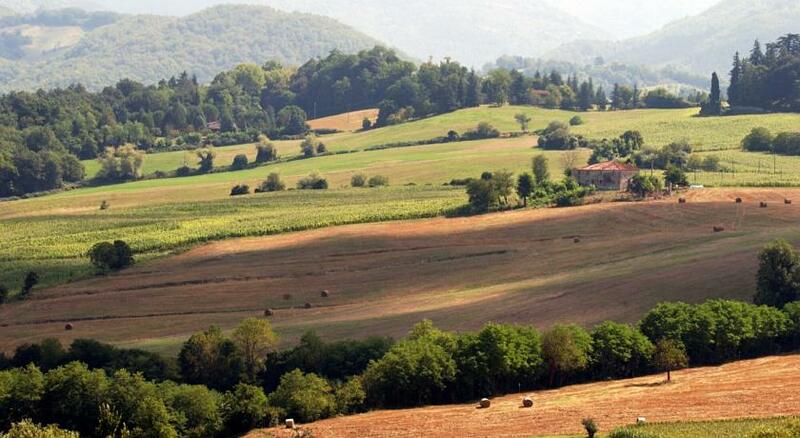 - Trekking: Enjoy trekking and guided visits throughout Mugello. 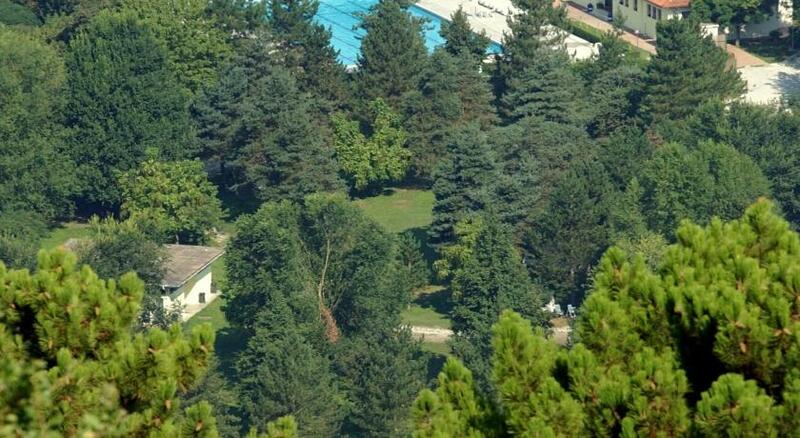 _Golf: The Poggio dei Medici Golf Club is just a few km from Montelleri. Kitchen Lessons: Typical Toscan kitchen lessons at the restaurant "L'antica porta di levante". The Residenza di Montelleri is located among the medieval district of Vicchio, the land of the artists Giotto and Frà Angelico. A territory just beyond the gates of Florence, Vicchio is rich in history and of artistic tracks, a memorial of a glorious past, an exciting land that still today inspires and attracts artists like to discover its landscape and lights. Solarium, miniclub. In the neighbourhood, available with fee, there are also: soccer field, tennis, archery, volleyball. There is canoeing on Lake Montelleri and mountain bike or hiking trails available at your leisure.